A Mass of Christian Burial for Joseph C. Mullen, age 80, will be held Thursday, March 29, 2018 at 10:00 a.m. at the Rose Creek Longhouse at Worley, Idaho. Rosary will be held Wednesday evening at 7:00 p.m. at the Rose Creek Longhouse at Worley. Father Robert Erickson, S. J. will officiate at the services and burial will follow at St. Michael’s Cemetery at Worley. Mr. Mullen died Saturday, March 24, 2018 at Kootenai Health in Coeur d’Alene, Idaho. He was born April 13, 1937 at DeSmet, Idaho to Edward and Margaret (Cherrapkin) Mullen. He was raised at DeSmet and attended the tribal school there. In his early years, Joe worked for area farmers during harvest, driving grain trucks and combines. Joseph married Daisy Mae Silas on October 12, 1957 at DeSmet, Idaho and the couple made their home at Worley where they raised their family. Joseph worked for Potlatch Forests at the sawmill in St. Maries, Idaho as a dryer tender for many years, retiring in 2002. He continued to make his home in Worley. His wife Daisy passed away in 2006. 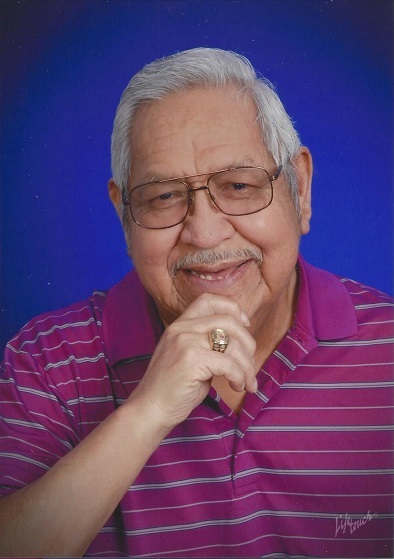 Mr. Mullen was a member of the Confederated Tribes of the Colville Reservation and a member of Sacred Heart Catholic Church at DeSmet. He attended St. Michael’s Catholic Church at Worley. Survivors include his daughter, Jo Lee Mullen of Worley, ID; one brother Charles Mullen of Plummer, ID; a niece Anna Mullen of Worley, a nephew, John Mullen of Coeur d’Alene, ID; 2 grandchildren, Natalie Mullen and Sunni Jo Mullen of Worley, ID; one great grandchild, Daisy Ilene Smith of Worley. He was preceded in death by his parents, his wife Daisy, a daughter Missy Mullen, two sons, Richard and Clifford Mullen, and siblings Edward Mullen, Hubert Mullen, ad Rose Gaze.